What springs to mind when you hear the words Netherlands and weather? Wind and rain, most likely. Plenty of rain. Lots and lots of rain indeed, as many a holidaymaker on the North Sea coast had to learn the hard way. Sure, compared to the rest of the world annual precipitation volumes are just about average, but due to climate change the Netherlands are set to experience more and more rain in the future. Between 1910 and 2009 the volume of precipitation surged by 25 percent. And the number of days with strong precipitation, too, increased, to 85 percent. Not surprisingly, so much rain causes problems: Where to dispose of all the water in this densely populated country that suffers chronic space shortage and is already undertaking enormous efforts to keep its feet dry? “Meervoudig ruimtegebruik” (which means something along the lines of “multiple use of space”) is the answer most hotly debated these days. It includes plans for setting up houseboat estates on storm water tanks or flooded polders, for example. Among the ideas already implemented is a multistory parking garage below Rotterdam’s Museumpark, which is linked to a large cistern. Mind you, the new water square the architects and planners from “De Urbanisten” implemented on Benthemplein in Rotterdam is no doubt one of the most extraordinary projects encountered to date. There are three basins that can collect as many as 1.7 million liters of rainwater if necessary. The reason that rising precipitation volumes are causing such problems for Rotterdam is that – unlike Amsterdam for example – the city cannot rely on a canal system and much of its urban surface is sealed. To exacerbate matters, most of Rotterdam is below sea level. Indeed, the country’s lowest inhabited spot is located in downtown Rotterdam – at six meters below zero. And the water comes from all directions: the sea, the river, groundwater from below and rain from the sky. For some time now the few canals in combination with the sewage system have been unable to take the massive water volumes, causing repeated flooding of roads and basements. At the same time the port city of Rotterdam has plenty of urban residual areas that are prime candidates for a makeover. 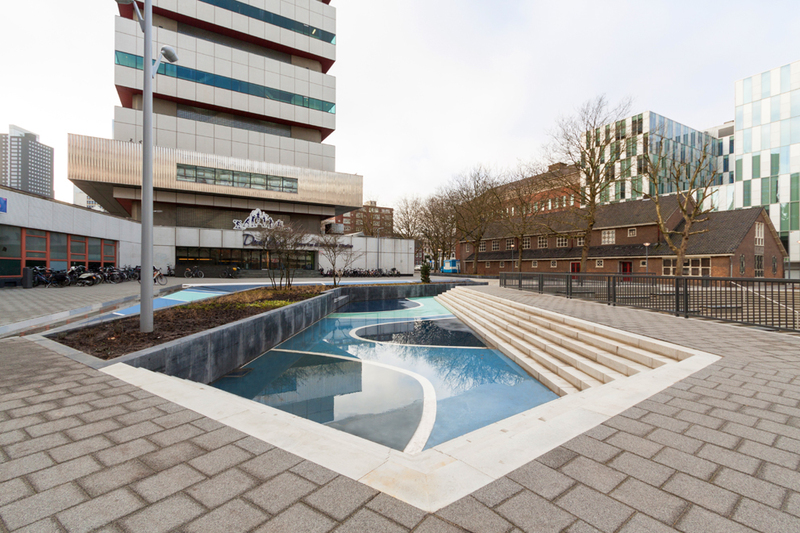 Until recently, “Benthemplein” square close to Rotterdam Central Station was one of them. Though located among several large edifices and potentially neglected as a result, the plaza counts some of the city’s most important buildings among its neighbors. A new office and school building with a glass façade has been erected on its northwest corner; right next to it there is a small 1950s brick church. The remaining architecture on the square – a school complex built between 1955 and 1970 – is the brainchild of Hugh Maaskant, one of the Netherlands’ most esteemed post-War architects. An elevated block now houses the Grafisch Lyceum, a training college for media, design and technology, while Zadkine College is located in the gigantic curve of a narrow high-rise, along with a theater. The space above the main entrance is adorned with an artwork by Karel Appel, a Dutch painter and sculptor. However, the most famous structure in the ensemble is the Akraton high-rise on the south corner, which is composed of large boxes stacked on top of one another. Originally the neighboring schools had their gyms here; today the building is home to a fitness club. 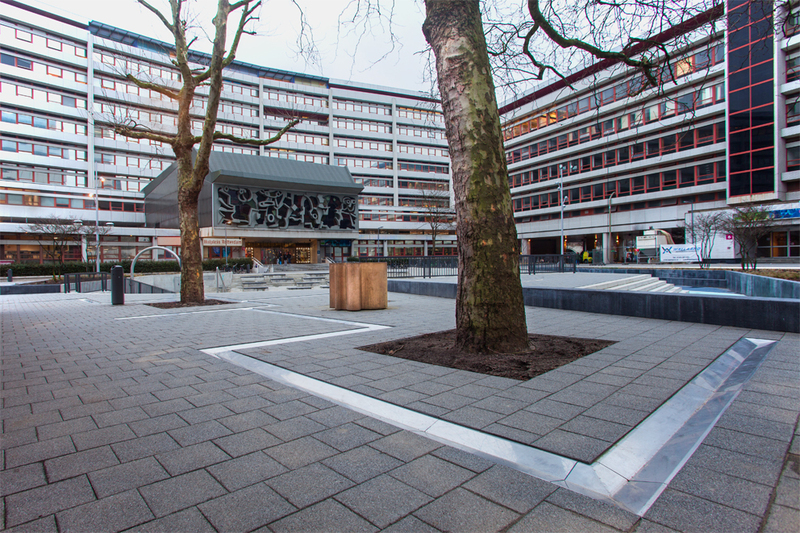 This sorely neglected square, embellished by no more than a handful of plant tubs and two rows of trees, was perfect for De Urbanisten to implement an idea they had been toying with for as many as seven years: Why conceal storm water tanks, expensive as they are, underground? 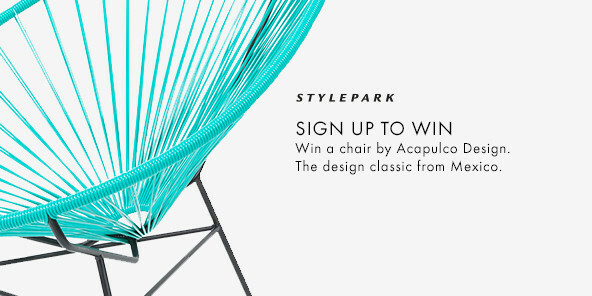 Could they not be transformed into design elements and form part of the urban space? A participation process followed. 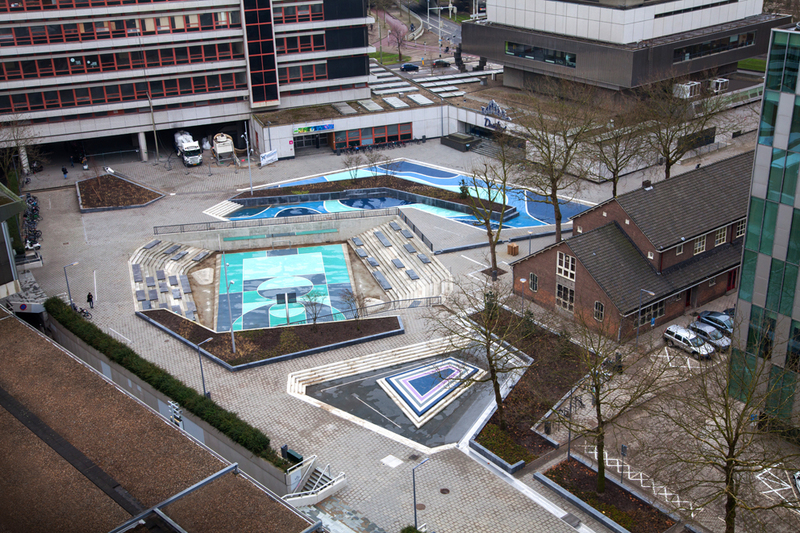 Having secured the contract to design the Netherlands’ first ever water square in 2011, De Urbanisten hosted three consecutive workshops with teachers, students, theater and gym representatives, parish members and local residents. Together they defined various functions of the square and devised the concept. The design consists of three basins, which have been painted in different shades of blue, stainless-steel ducts embedded in the ground and narrow luminous strips. There are several elements of greenery, including the existing rows of trees. 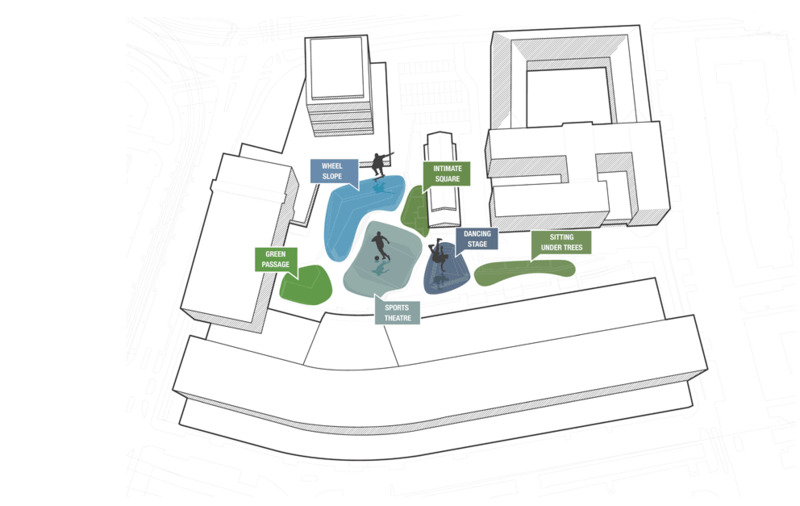 In dry weather each basin has a different function: One features a small island that serves as a “dancing stage”, another has been designed with slanted walls and can therefore be used as a skate bowl. The largest basin has been transformed into a basketball court and football ground with terrace-like sides for spectators. 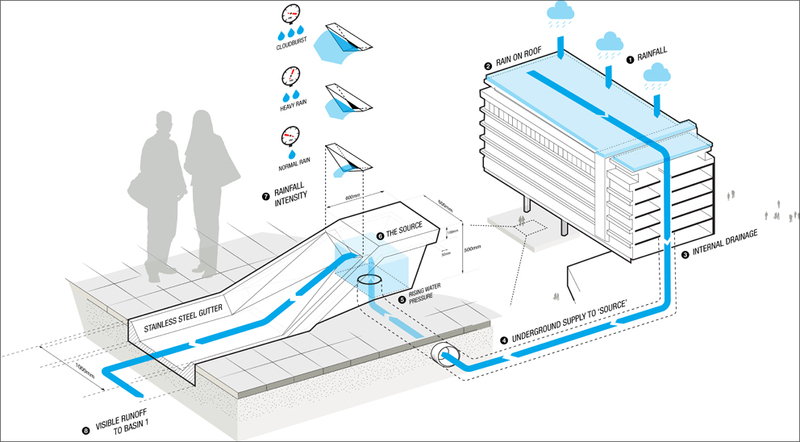 In the event of short downpours only the two smaller basins fill up with rainwater from the neighboring rooftops and a nearby parking lot. Not until there are prolonged spells of wet weather will the sports ground be used as a storm water tank, collecting water from the roof of the Zadkine high-rise and adjacent areas. The water is filtered before it enters the square. Then it flows in a zigzag manner through the open stainless-steel ducts en route to the storm water tank. 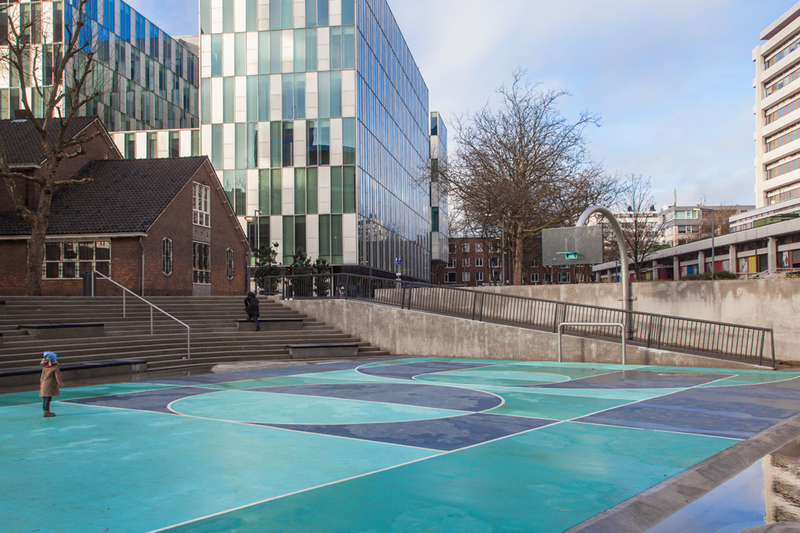 One of the key results of the workshops hosted by De Urbanisten was the decision to make the water visible as it is directed across the square – including deliberate detours for added finesse. Some of it reaches the square underground before it ripples out of square spouts and into the ducts; in the large basin with the sports grounds it pours out of a wide slit in the wall. Once the rain has stopped it dissipates directly into the groundwater or is pumped into the nearby Noordsingel canal. The students from the adjacent schools are the main users of the square. They need to cross it each morning as they make their way from the train station to the school entrance, which is why a pedestrian route runs between the skating basin and the sports ground basin. During break times they like to sit on the benches under the trees and on the steps of the gallery. Or they practice slam dunking in the sports ground. One advantage of having the playing field sunk into the ground is that there is no need for tall fences to keep the balls inside. The once cheerless square has gained enormously from the makeover. For the first time ever, the somewhat dry topic of water management has been addressed with an added fun factor. Transforming Benthemplein square into such an unparalleled example is how to make a virtue out of necessity.